Party sangria is a popular choice for parties, and almost everyone partaking of its bound to find at least several delicious fruit slices bobbing around in their cup. 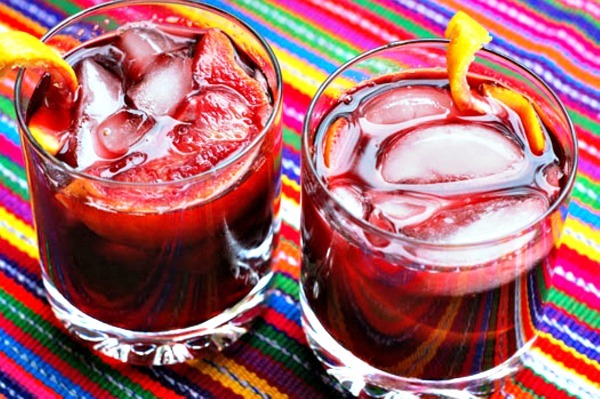 This sangria is also specially attractive served in a wine glass with an orange slice garnishing the rim. In a sangria pitcher, combine all ingredients except the strawberries and soda. Chill in the refrigerator overnight. Immediately before serving, stir the strawberries and lemon-lime soda. Pour into chilled glasses and serve.